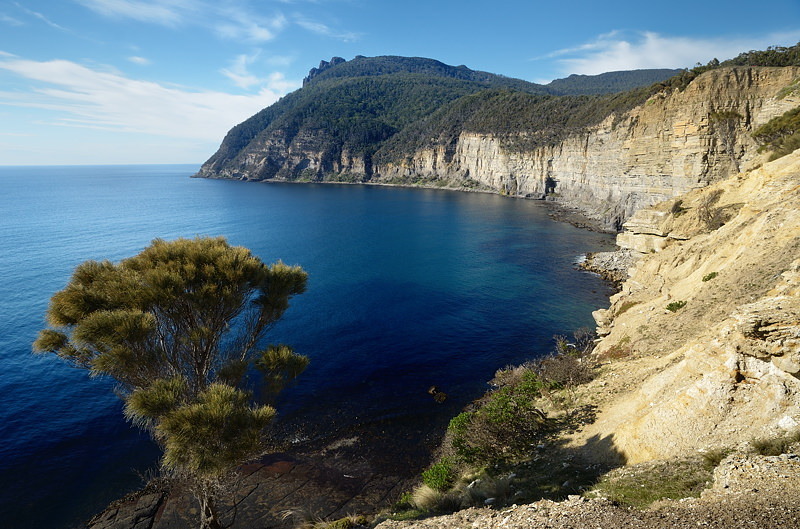 Bishop and Clerk is the prominent peak at the northeastern extremity of Maria Island, obvious on the approach from the sea, and visible from many points around Darlington. 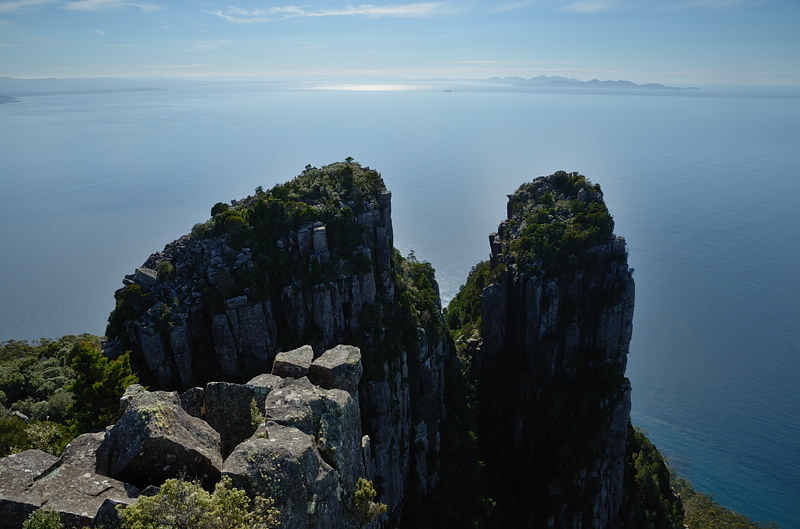 It provides superb views of the northern end of the island, Freycinet Peninsula to the north and the mainland. Views can also be had along the eastern side of Maria Island. The walk will take most people 3 1/2 to 5+ hours to complete including some time to sit on the summit and take in the view. It is a solid climb of over 600m vertically, so a moderate level of fitness will be useful. The highest part of the mountain has a small amount of rock scrambling which occasionally defeats people otherwise comfortable with the walk. Along this walk and on the summit there are very large unprotected cliffs, so care is required. Most importantly, children need to be closely supervised when walking near the Fossil Cliffs. The track is easy to follow and mostly climbs steadily and occasionally steeply through the forest then across some scree. At the top of the scree you are getting close. There are some steep bits here in bouldery gullies, and one little scramble which can be tricky for those who can't work out where to put their hands and feet to maintain balance. Children may have to be helped - I had to "put" my children up this bit some years ago when they were big enough for the walk but small enough to lift. A bit of clambering right at the top, and you emerge on a quite small flat platform with cracks and very steep cliffs to north and east. This sits above the other peaks which are obvious and picturesque to the north, and the height according to the map is 629m. The views on a clear day are superb and worth the climb. The return walk is a retrace, but can be varied by returning around Cape Boullanger to arrive at Darlington from the coast rather than from inland. It's not bad, being coastal it's generally a little more benign than some higher and more inland parts of Tasmania.